Stampin' Up! has added 55, yes 55! new items to their clearance rack! Some of the items are as much as 60% off original price. You can go here to view all the items. If you wish you order, just add me, Norma Jones as your demonstrator and you can place your order ONLINE ONLY!! 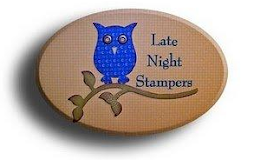 This is a first come first serve type clearance rack, so hurry on over to the Stampin' Up! site and get your sale items NOW! !